24th of July OR BUST! 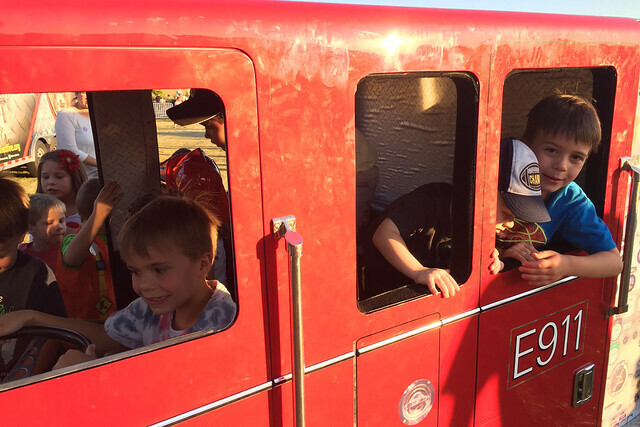 The 24th fell on a Sunday this year, and Cottonwood Heights had their annual Butlerville Days celebration on the Saturday before. But after spending a long day working on the house, I was in no mood to go to BVDay’s. Wyatt really wanted to go though, so I dug soooo deep, and we went. We had some dinner, rode some rides, and spent the evening sitting under the summer sky.